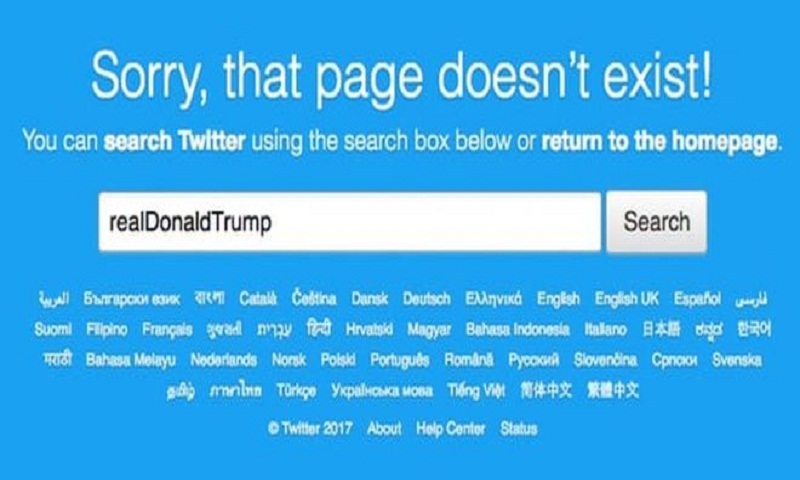 US President Donald Trump's Twitter account briefly vanished on Thursday, but has since been restored, the social media company has said. After the account was restored, Mr Trump's first tweet was about the Republican Party's tax cuts plan. @POTUS, the official account of the US president, was unaffected. Twitter said it was investigating the problem and taking steps to avoid it happening again. It later said in a tweet: "Through our investigation we have learned that this was done by a Twitter customer support employee who did this on the employee's last day. We are conducting a full internal review." Mr Trump joined Twitter in March 2009. He has been actively using the social media platform to promote his policies and also attack his political opponents both during the presidential campaign in 2016 and since taking office in January.